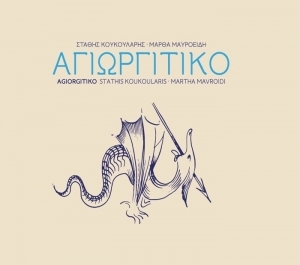 “Agiorgitiko” a collaboration with the legendary violinist Stathis Koukoularis, released by Violins Productions. Stathis Koukoularis is one of Greece’s most important folk musicians. Born in the island of Naxos, he is one of the foremost exponents of island music in Greece, having recorded over 4000 pieces of folk music. In this album he collaborates with Martha Mavroidi, a folk singer and lutist of the new generation. The album contains folk songs from the Aegean islands and from Asia Minor, as well as a new composition by Stathis Koukoularis and Martha Mavroidi.